"Spacious room with a balcony." Have a question for RELC International Hotel? "Lots of varieties offered by hotel vending machines, impressed as the foods and drinks are self service." "The family room was really big and clean." "Hotel is clean and quiet." 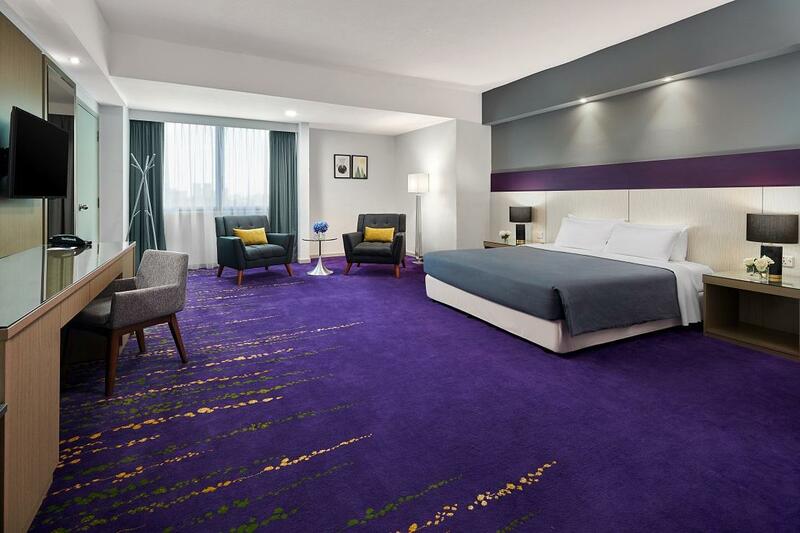 "Check-in was quick - thanks to the efficient and friendly st..."
RELC International Hotel offers an excellent location for both business and leisure travelers to this island nation. Just minutes from the famed Orchard Road, guests are surrounded by shops and dining venues. 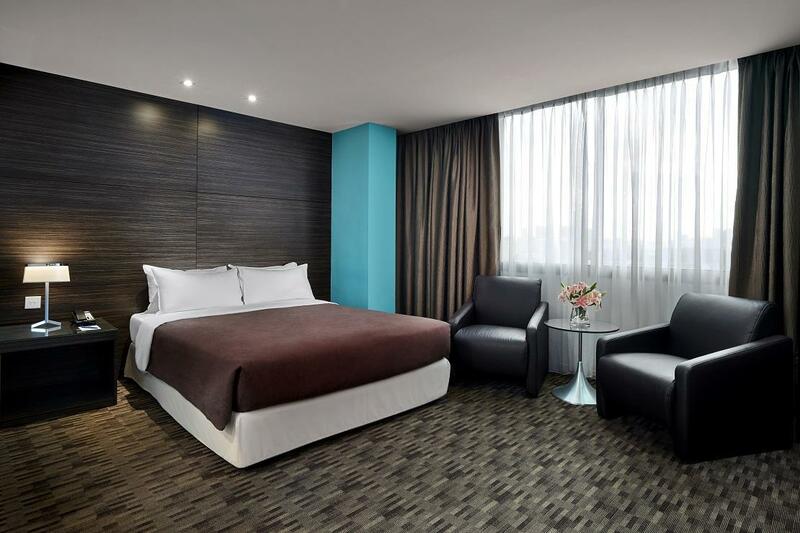 The hotel is located within a 15-minute walk from Orchard Road. A public bus to Scott Road and Orchard Road is available within a two-minute walk from the hotel. And with an extensive train system, getting anywhere in the city from Sentosa to the Singapore Flyer is a breeze. 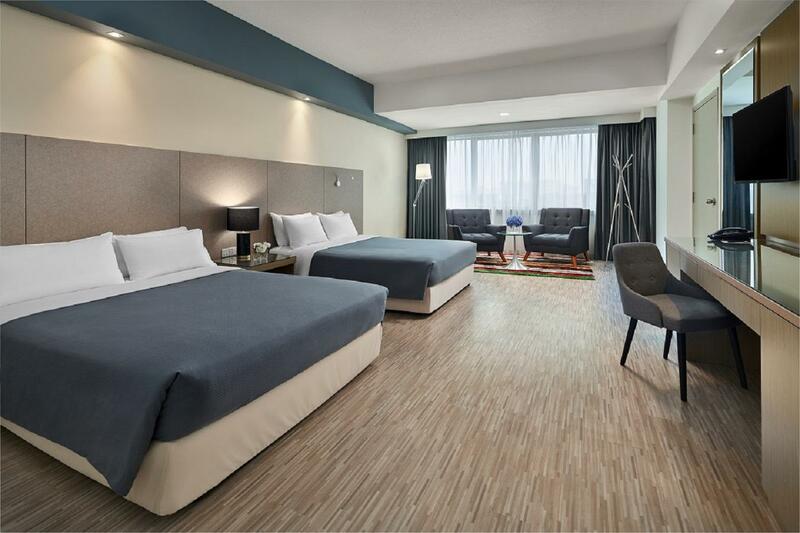 For the business traveler, the hotel offers a number of meeting rooms in various sizes, all of which come equipped with standard audio-visual equipment. 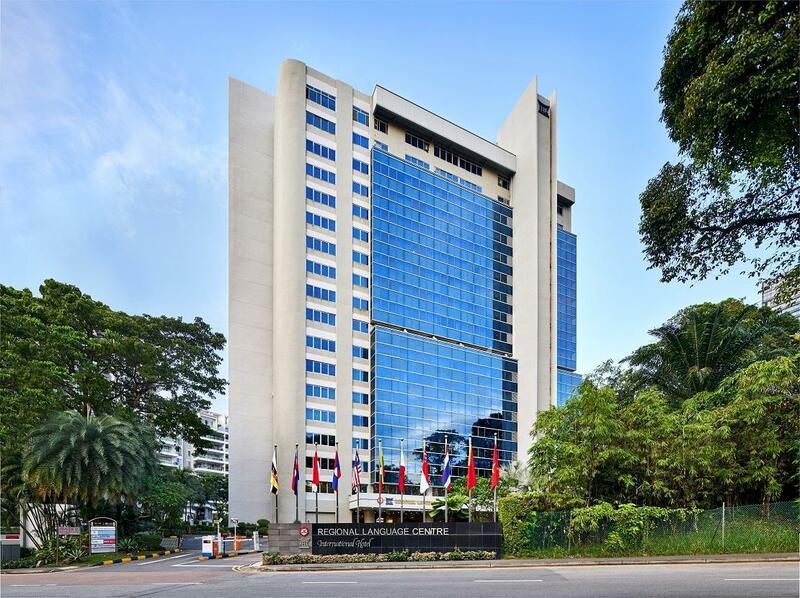 RELC International Hotel provides an excellent location from which to visit all the popular attractions of Singapore. "Great internet, clean, big rooms and helpful staff." The property provides a free portable router for guests booking at Deluxe Room, Executive Room or Apartments. Please contact the property for more details. This hotel could be so much better. It is well located and there are large airy rooms. But, the rooms are very noisy, the air conditioners are old and make a lot of noise. Mine kept banging throughout the night. 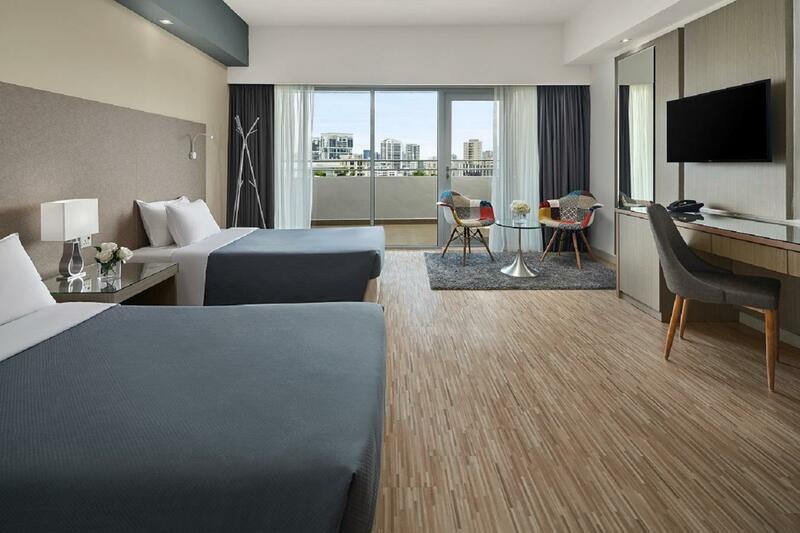 If it wants to attract business travellers, it needs to feel less like student housing. Location is a bit far from Orchard Road but arranging transport by Grab is not hard. The cost is far better than all hotels in Orchard Road. The extra cost in getting a cab is way lower than the cost of others in Orchard Road. Hotel is clean and quiet. All hotel facilities are excellent. The RELC International Hotel is an unpretentious gem. 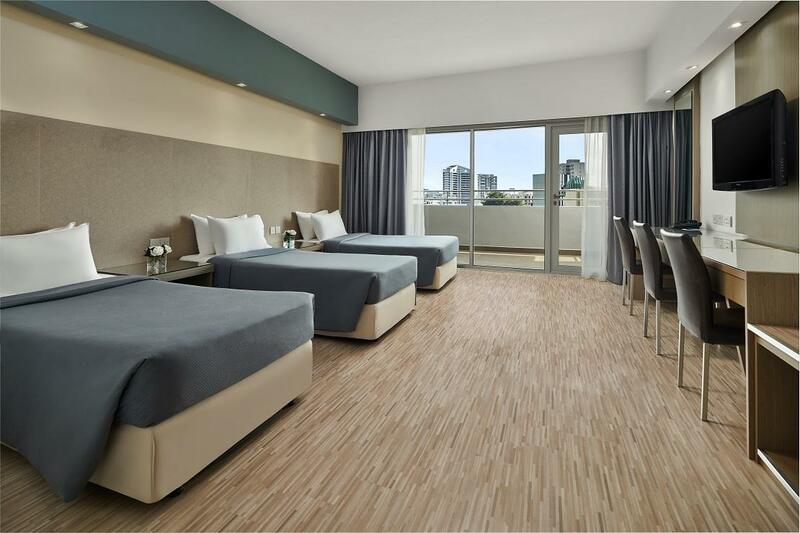 Nothing fancy but the rooms are large by Singapore standards and the hotel is within walking distance of Orchard. The staff are friendly and helpful. Very good value for money. The room was spacious and I got upgraded to a serviced apartment, but the overall experience was disappointing because of the below reasons: - There are not enough lifts and the lifts are AWFULLY SLOW. It took nearly 10 minutes to get a lift to the 18th floor as one of the lifts does not even go to that level. The lifts are also small so some people waited for a long time and then ended up not even fitting in the lift. - There was no warm water in the room. Though the room was clean, I unfortunately did not have any warm/hot water and ended up taking a cold shower. - The vending machines are a nice way to optimize facilities but room service would be nice. - The front desk staff was quite expressionless during check-in and especially during check-out. The lady on the desk was not even keen to know anything about my experience. My family &I had decided to hold our daughter’s engagement at “Cafe Connoisseur”. The hotel was very kind & understanding because they agreed to my daughter’s special request to check in 2 hours earlier. The staff of the above Cafe especially Mr. Zam, were very nice & courteous to serve us throughout the engagement ceremony. The hotel room is very spacious & my daughter had a great time & even though it’s a 1-night stay. This is our 3rd time staying at this hotel due to its location, room size and most of important of all - it doesn't hurt your pocket - the best rate in entire (maybe) Singapore. Check-in was quick - thanks to the efficient and friendly stuff. I would like to specifically mention Mr. Joe Wong (duty manager) for his generosity in offering an extra bed for us after knowing a misinformation on AGODA's website with regards to the number of pax allowed per room for deluxe twin type - Agoda's website states 4 pax, but factually, it allows only for 2 (Agoda - please amend your site to state accurate information as it may lead to a lot of inconveniences for families during check-ins). Other plus points are the free parking for those driving to Singapore and the SG15 Grab vouchers (complimentary by the hotel) came in very handy. Caution for tourists with small children, the pedestrian crossing lights at traffic junctions go green simultaneously with traffic lights for vehicles. The reservation department (Ms Elvic) and the front desk lady are very helpful and friendly. They assisted with all my requests and I have a smooth late check in. I will definitely come back to this hotel in future. I am an academic working a lot in SE Asia, so I pass through Singapore often. I usually stay at RELC, which is actually a hotel married with an English language teaching facility (RELC stands for Regional English Language Center, so you meet lots of SE Asian adolescents doing courses in the elevator). It has a laudromat, but otherwise its facilities are limited. However, it is located next door to the Shangri-La, if you need to meet someone in upscale surroundings. 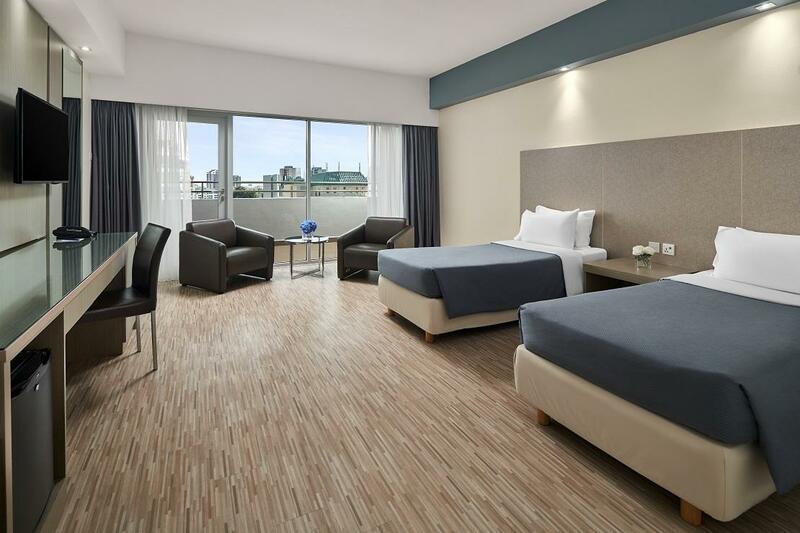 RELC is a budget family hotel for Singapore purposes, and Singapore is an expensive city generally. The only downside in my mind is the rather mediocre breakfast, so I always book a room only and then walk a couple hundred meters to Starbucks or McDonalds on the upper end of Orchard Road to catch breakfast there. 5 travelers found this review helpful. Did you? Other than the location which is quite far from orchard, they're a pretty decent hotel. Upon check in they gave us a 25 dollar complimentary grab voucher, which is enough for 2 days return to the hotel. However, they should have given us at least 10 dollar a day to compliment with their location. Because if we add up the total cost of grab we have to pay in the end, we could have book another hotel a bit more expensive, but within walking distance only. Anyway their room is big, which is very decent considering their price, and a lot of vending machine in the lobby to compliment their location. Anyway we love our stay here, will definitely consider staying here again. I have been staying at RELC at this point for over 20 years, when passing through Singapore. It is my single favorite family or budget hotel in Singapore. It lacks the facilities of, say, the Shangri-La next door, but it is good value for the money, and a superior place as what I would consider a three to three and one-half star hotel. 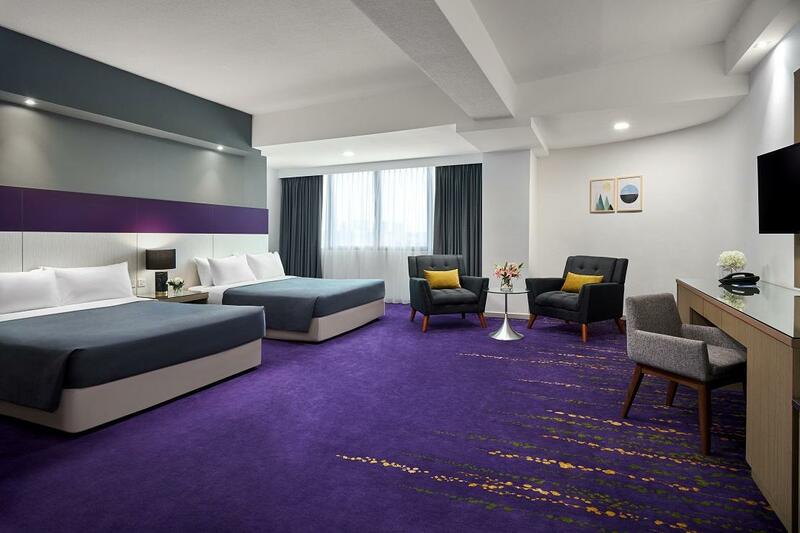 the hotel is located 1km away from the orchard road and the bus stop is far as well so if you want a hotel that is walking distance to anything this is not for you. if you dont mind taxi and grabs then this is the prefect place to stay. + Big room and clean + Quiet and nice luxury residential view + Interesting variety vending machines available at 1st floor (foods, snacks, ice-cream, food heating, drinks & convenient items) - No one attend internal phone call for any services (reception, conceige, housekeeping, duty manager, ...) I have to call to hotel main phone line to make my request! The room is huge and clean. There is even a direction for qiblah for Muslim travelers like me. However the toilet does not have a bidet spray. The location is not that near to orchard road, and we had to take a bus or taxi to go to the nearest MRT. The location is far from mrt, bus or any shopping places. Have to take taxi or car. The room itself is completely bare bone consisted of beds and tables only. Housekeeping staff is rude, when I asked for more extra blankets and pillow. They refused to deliver. When I asked for two towels and toothbrushes they delivered only one. No in room sandals were provided too. We landed at Singapore at 5 am and needed a 6-hour early check-in. Their policy is that any early check-in (prior to 2 pm) will be charged as follows: - 0 to 6 hours: half-day rate; >6 hours: full day-rate. However, they will charge their published price rather than the Agoda price. We ended up paying for 6-hours almost as much as what we paid for 1 full night on Agoda. The advice if you need early check-in like in my case is to book both nights on Agoda, including the partial day. We were told we cannot push the beds (we had two single beds) together in a rather rude note on the bed - that we would be fined 65SGD if we do it again. Never happened before anywhere else, and even if it was against policy - a rude note on the bed was not necessary.